The blogspace is a flood with fear, uncertainty and doubt (FUD) tactics pumping up the pending European General Data Protection Regulations (GDPR). The headline grabber and favourite being the €20m or 4% fines applied to global turnover (NOT profit) for infringement. This level of fine is somewhat eye watering taken raw. However, ensure you take a good dose of reality check can prove as good as a spoonful of sugar to help the medicine go down, so read on. OK not much consolation for any SME (Small Medium Enterprise) organisation to get whacked by even the lower tier. The point though is that whilst the fines are there, the regulations state that their intent is to be ‘effective, proportionate and dissuasive’. The interpretation being the threat should be enough to ensure compliance and render the fines unnecessary. Sadly, experience with other regulations tells a different story and many organisations will try to duck and dodge their obligations. This has always been the challenge in the SME sector which regrettably is the one that is the most exposed as they often lack the budget and mindshare in the face of making payroll each month. The biggest challenge is the starting point for SME’s who do not have a current baseline compliance with the existing regulations. 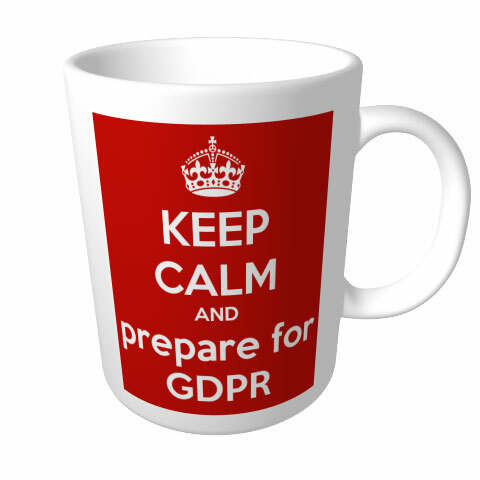 Their mountain is all the steeper to climb by May 2018 as a big factor in GDPR is organisational cultural adaption and discipline to data privacy principles that does not change easily. The May 2018 deadline is the enforcement date NOT the date at which organisations need to start thinking about GDPR. It will take many months for an organisation that has not complied with current Data Protection Regulation if not years for larger organisations to re-orientate their cultures. For those who have grasped the nettle and invested in compliance under the existing data regulatory regime, the task will be much easier as GDPR builds on that foundation. can only be collected for specified, explicit and legitimate purposes and not processed in a manner that is incompatible with those purposes. accurate and where necessary kept up to date; every reasonable step must be taken to ensure that personal data that are inaccurate, having regard for the purposes for which they are processed, are erased or rectified without delay. kept in a form such that the data subject can be identified for no longer than is necessary for the purposes for which they are processed. Addressing these will demonstrate the best that can be expected in the absence of a clear definition of GDPR ‘compliance‘. With the caveat that attention to the detail as in the prior Data Protection Legislation was always where the real compliance challenge lies and the short list of 6 principles embodies the larger list of obligations noted above. Vendors, Consultants and service companies alike are jumping on the GDPR bandwagon and wielding the fines like a blunt instrument whilst applying that tradition of ‘cut and paste’ marketing to rejuvenate languishing offerings with a GDPR spin. Whilst many of these solutions may be functionality practical in addressing some aspects of the EU GDPR core principles, applied in isolation they will have little more effect than that of monkeys in a box and a plague on your houses budget and time. For organisations confronted with the realities of the new EU GDPR obligations this air cover of vendor ‘FUD’ is not helpful. So, don’t get the cart before the horse, defer technology expenditure specifically relating to addressing GDPR requirements till a GDPR plan has been clearly mapped out and signed off by the business. A good starting point being a Data Protection Impact Assessment (DPIA). Furthermore, these assessments tick the first box that otherwise could risk exposure to a fine, as a lack of DPIA or diligence in undertaking your DPIA is one infringement that will get you fined (Article 37 as noted above), albeit at the lower tier. An important dimension to any such assessments is the Supply Chain. It is worth remembering that Data Breach (and exposure to fines) can impact multiple organisations, Data Controllers and Processors as well as GDPR Certifying Organisations. This has supply chain implications that cannot be ignored and appropriate measures need to also be put in place to manage that supply chain exposure or yes you guessed it, fines. Just as the supply chain can magnify the exposure to fines for organisations, there are other fines that will come into play as data breach transparency exposes organisational malpractice. Individual damages for loss or harm are UNLIMITED on an individual basis. Imagine just a handful of data subjects suing an organisation for significant personal harm/damages. Now multiply that up against only a modest breach of 100,000 data records and the value of organisational readiness for GDPR becomes a crystal clear imperative.